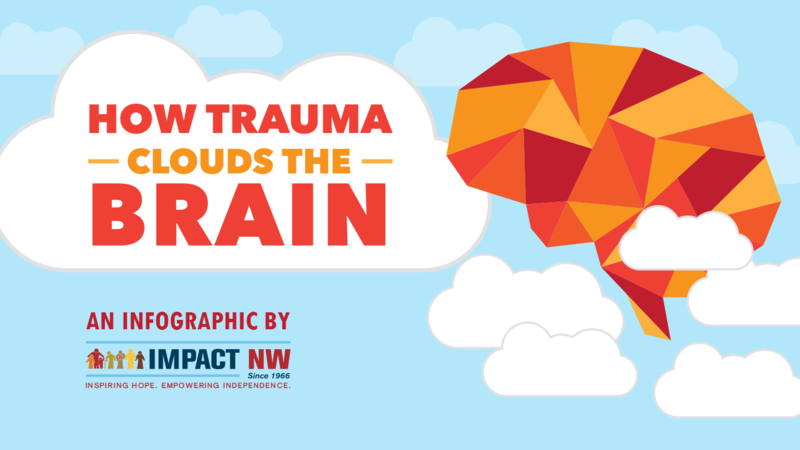 Just as poverty may cause trauma, trauma increases the likelihood of dipping into poverty. Where does Impact NW Fit In? Navigating the world of social and safety net services is confusing, stressful, and complex—and can be traumatic on its own. That’s why our programs are crafted with a trauma-informed lens. Our work with clients aims to provide strategies for coping with previous trauma, while also reducing the additional stress of accessing services.